A food processor is one of the most useful additions you can make to your kitchen. It’s a multi-purpose machine and it makes so many different recipes so much easier to achieve. But of course, no one product is ever going to be for everyone. Maybe you don’t want another big, clunky machine taking up space. Or maybe you just don’t want to shell out that much money for something that you might not use all that often. Well fear not. There are still several different ways that you can speed up your cooking process. Allow me to enlighten you. A standard food chopper, as the name suggests, doesn’t have anywhere near the number of uses that a food processor does. In fact the only thing that it does is chop. Compared to the food processor, that’s nothing at all really, but maybe it’s all you need? There is some advantages to just having the chopper. It’s quite a bit smaller. Smaller than even the smallest of food processors. It will take up less space in the cupboard, less space on the counter and less space in the dishwasher. If that is a concern, you can count on the chopper. It’s also naturally more convenient to use. A food processor does make things easier, but it is a big of a drag having to set it up all the time. There’s very little setup involved in a food chopper. Just take off the lid, throw the food in and let it chop away. You can’t use it for blending, shredding or slicing. But if all you want to do is chop then the chopper is a fine substitute for the food processor. 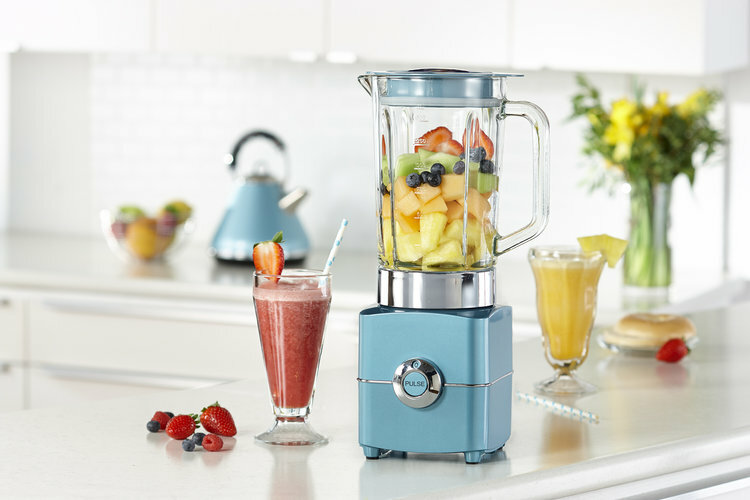 Much like the chopper mentioned above, the blender has only one real function. But it’s pretty good at it. In truth, only being useful for blending doesn’t really put a huge limit on recipes. There’s still many dishes that you can very easily make with a blender. You can use it to churn butter. And not just regular butter, but a whole variety of nut butters too. It can be used to blend eggs. Whether you just want to scramble them, or if you want them prepared for an omelette. You can smoothe gravy, blend pie fillings or make custard. You could even use it to prepare batter for waffles and pancakes. So while it doesn’t have anywhere close to the amount of uses as the food processor, it still has its uses. One of the elements that puts the food processor above its alternatives, is the fact that you can equip a few different functional discs. The shredding disc is a fantastic tool. Sure it’s got a supervillain sounding name, but it’s really great for making all sorts of different things. If you don’t have a food processor, you can make most of the same stuff with a large grater, but it is going to take a little bit more time. There’s a whole bunch of different types. You’ve got the box shredder, which usually comes in a few different sizes. Most box shredders have different sized holes on every side, making several different results possible. This is actually a bit of an advantage over the food processor because shredder discs generally have just two different variations. And some of them only have the one. You’ve also got a smaller, handheld grater called a ‘microplane’. It’s a handy, efficient little device that you can use to make tiny shavings of cheese or lemon. So while the food processor will shred things quicker, there is plenty of alternatives in the form of graters. You also have a bit more control of the result when using one. Look, I know this is what we’re trying to avoid by investing in all of these appliances, but sometimes there’s no greater substitute than your own hands. If you chop and slice your food by hand it will take longer, there’s no question about that. But this is also the most control you’re going to get. For some people, the thought of using a processor, blender or chopper is actually pretty unappealing. The only way to ensure that everything will be exactly as you want it to be, is to give yourself as much freedom as possible. You won’t get that with a machine. So while I’m personally an advocate for food processors, it’s not exactly like you’re out of options if you don’t have one.